I thought I would post this just to clarify how you change the battery in the Mazda key fob, I have seen similar posts but none with a picture guide. The correct battery you will need to perform this replacement is a: CR1620 battery. Step 1: Flick out the key from the remote. 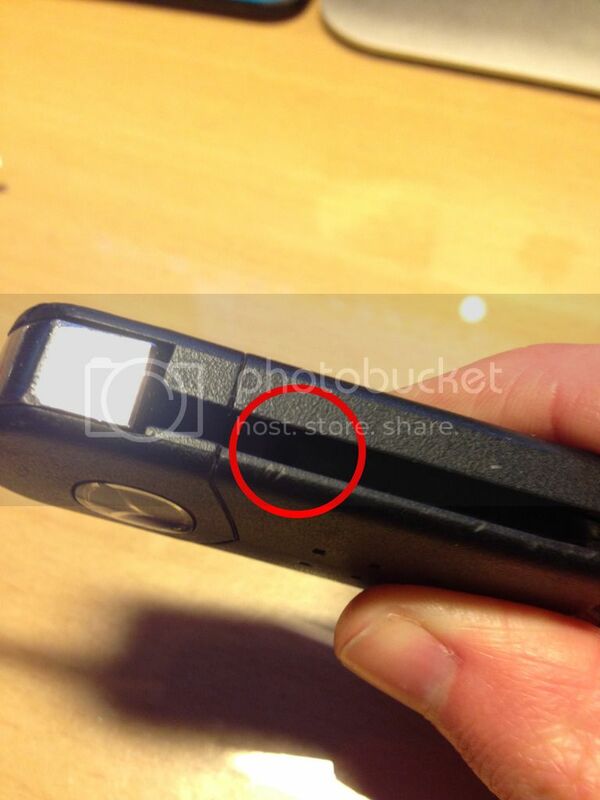 Step 2: Turn the fob on its side where the flip out key sits and you will see a small tab inside. 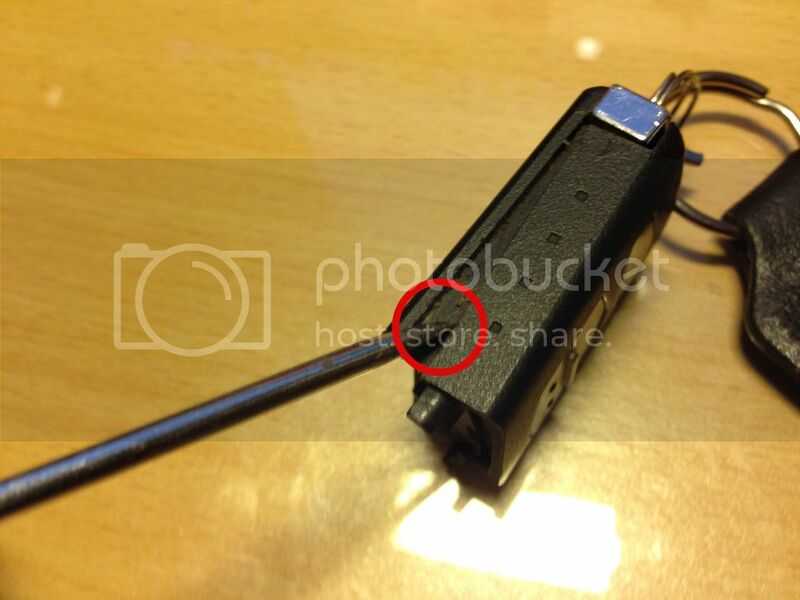 Step 3: Use a small flat head screwdriver and push down on the tab whilst pushing towards the top of the key. Step 4: The top part of the remote will now release like so. Step 5: On the opposite side to where you pushed down the tab, slide the screwdriver into the small gap and pull away the bottom half of the remote. Step 6: The battery will now be revealed! Simply release the battery from its holding position and insert the new one. Step 7: Now just re-assemble the remote by clipping the bottom half and top half of the remote together, followed by re-inserting the key part. Thanks for that, didn't think of that at the time! 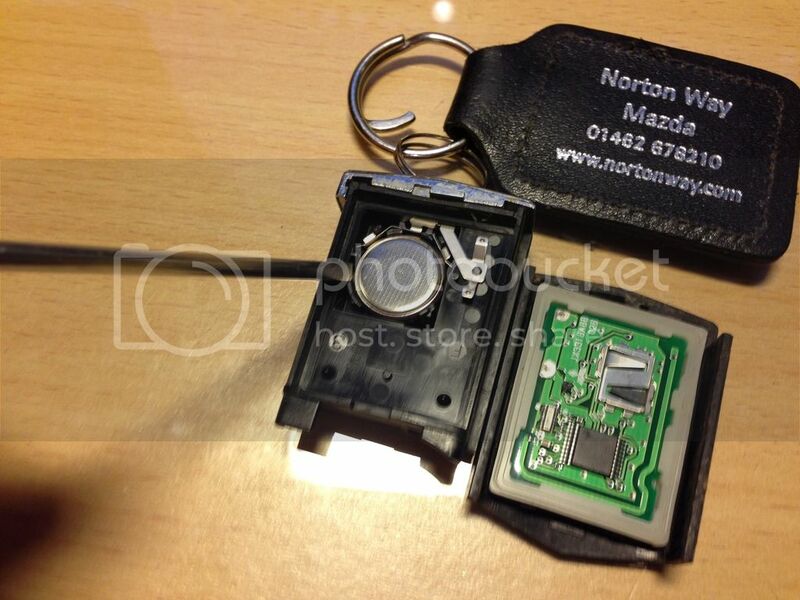 Probably worth pointing out somewhere in this thread that there is more than one type of Mazda 3 key fob. No idea how many but mine is totally different from the pictures with a different battery. 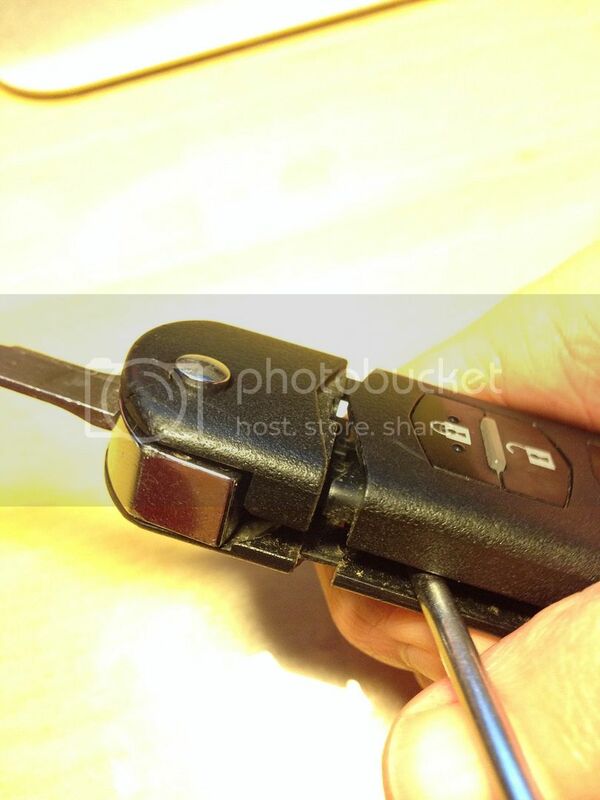 Yep this thread covers the standard mk2 none keyless entry remote locking key. 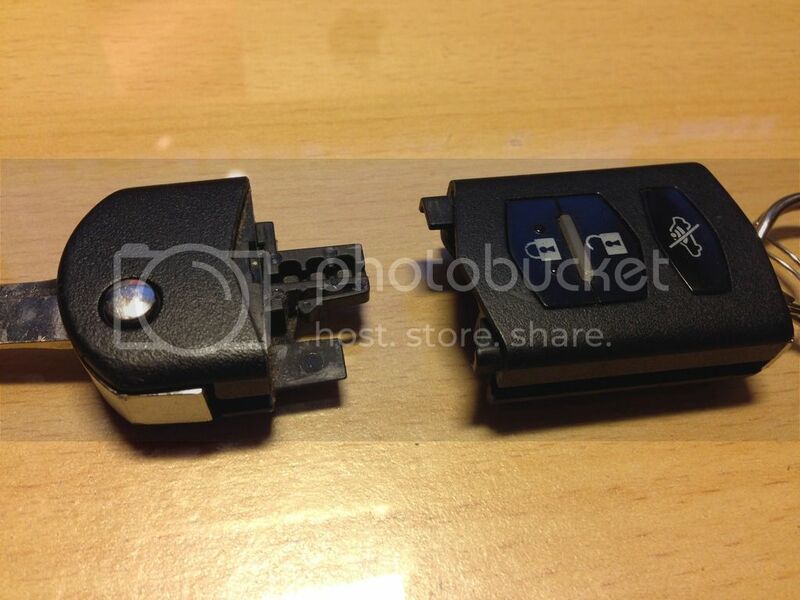 does anyone know haw to change the battery on the key fob of the 2014 M3? Page 6-43. I thought everybody knew that. Not all year/models have the same handbook, or indeed the same type of key fob..
Bobmax , I have merged your query with an existing topic, I hope this will help you. 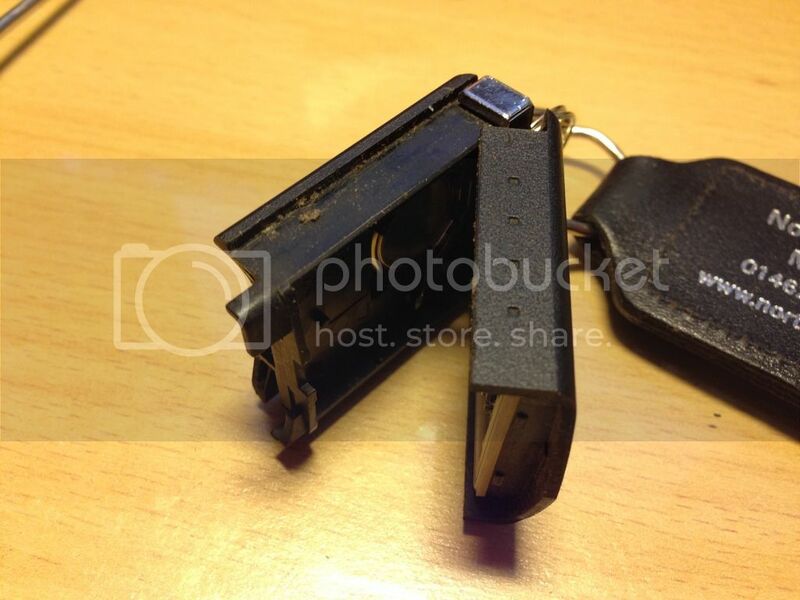 If your key fob is not the same, please revisit this topic and supply a picture of your fob. I'm sure that someone will help you with type specific information relating to your type. Thanks Will, That covers it. I'll get a battery and change it tomorrow.